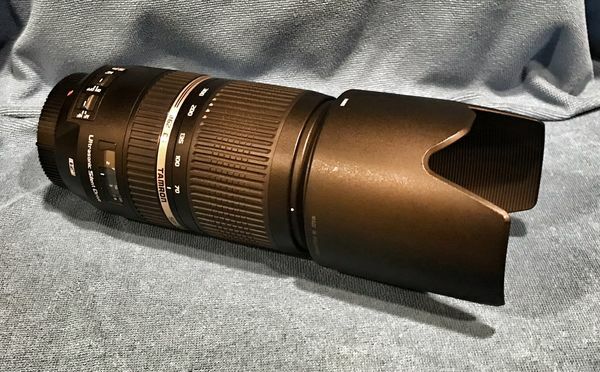 SOLD / SOLD Whether you are shooting indoor or outdoor sports, portraits, nature, or landscapes, the Tamron SP 70-300mm f/4-5.6 Di VC USD Lens is the telephoto zoom that's a great way to capture the images before you. 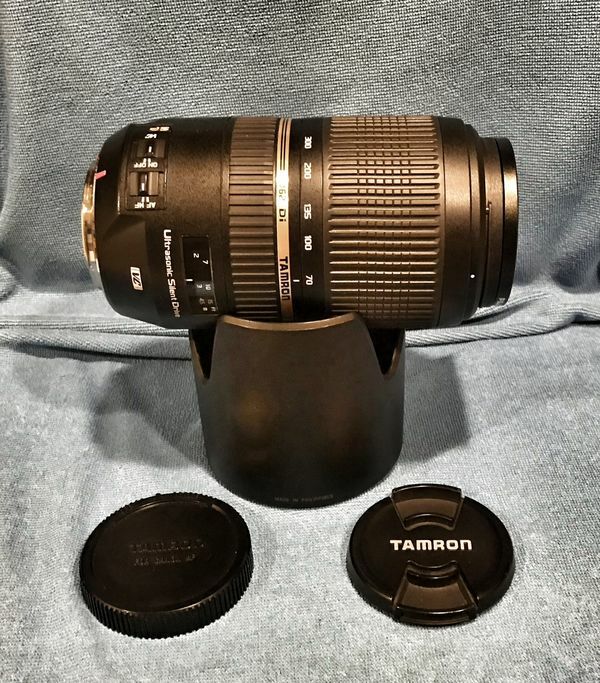 This is the Tamron Anniversary lens and is the first Tamron optic that incorporates an Ultrasonic Silent Drive (USD) for fast, quiet and precision autofocusing. This lens is like new, and comes with both caps, hood, and a nice UV filter, which has been on the lens since new. No dust, dents, scratches, algae, seaweed, or scuffs. Glass is clean and clear. Asking $230, including USPS Priority Mail to the lower 48. Will only ship to verified PayPal address. Feel free to message me aith questions. Check my feedbacks here and in eBay.